Sarah Smith and Arwyn Jones' guests are Sir Alan Duncan MP and Yvette Cooper MP. The political panel consists of Isabel Oakeshott, Matthew Zarb-Cousin and Lucy Fisher. 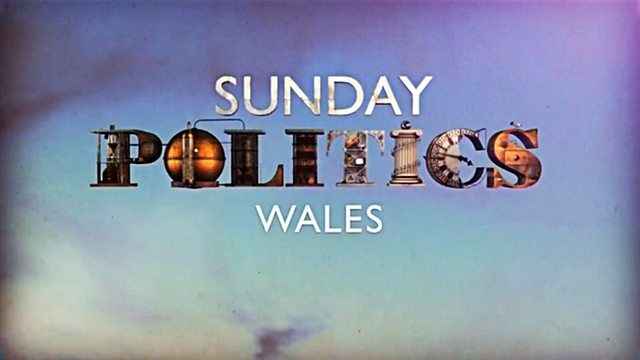 -- welcome to Sunday Politics. 800 years will kick in next month. been going when I met him. to people working in Wales. the big things you have achieved? There are several Brexit committees. preparations to leave the EU. back to the Wills bill, Wales act. and determination that we succeeded. say it is still the right decision. It has to be either order. Wales strongly enough, is that fair? were historically ones are cheaper. of movement between those places. reasons behind it are well-known. would be good or bad. there is greater demand for housing. her why she wanted the job. in the rest of the UK. to get something on that very soon. talk to people, listen to people. about the membership, is it? This 3 million people in Wales. do you think is your boss? and vote against it on that basis? but I was there then. they created the Labour Party. We've got to move on now. people out there who need us. with OMOV, if I'm honest. role be in trying to prove that? who are vulnerable to this. is set to be written. charge of some of its taxes. was nearly 800 years ago. Wales was a very different place. for the whole of the Middle Ages. They were all taxed differently. is the first time in history. that you would expect from HMRC. in a way, it's the biggest change. is no connection to London. without putting up the rates of tax. deciding which taxes are collected? the power to block the Welsh budget. Welsh Government spends every year. It is material, but not that large. to increase their own spending. we still have to pay them. hours for a 30 minute card running. try out the driverless technology. We can try out wireless recharging. out a novel lot of new technologies. want to be the guinea pigs. rather than playing catch up. you would go something like this? working in a different way. to deliver all of that? need a test-bed to work this out. think this could be in place? hock, so that can't happen. Sarah Smith and Arwyn Jones' guests are Foreign Office minister Sir Alan Duncan MP and chair of the Home Affairs Select Committee Yvette Cooper MP. The political panel consists of political journalist and commentator Isabel Oakeshott, former adviser to Jeremy Corbyn Matthew Zarb-Cousin and senior political correspondent for the Times Lucy Fisher.